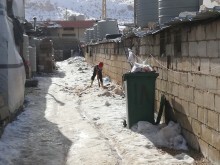 London, January 15, 2019 - In Bekaa Valley, where more than 340,000 Syrian refugees live, heavy rains have caused numerous floods, while snow has made road access difficult in more isolated areas. Forecasts indicate that another, more severe, cold snap is approaching and is expected to cause a sharp drop in temperatures, further snow, and strong winds. 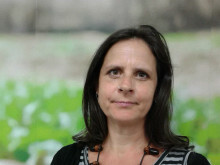 "Our teams are on the ground responding to the impact of strong winds, rain, and snow on people and their living conditions, especially in the informal camps where Syrian refugees live," says Beatriz Navarro, Country Director for Action Against Hunger in Lebanon. "To date, 151 informal settlements throughout the country have been heavily impacted, especially in terms of shelter conditions. We have started draining water in some places by using water pumps, in addition to distributing blankets, mattresses, hygiene kits...as much as weather conditions have allowed," he adds. 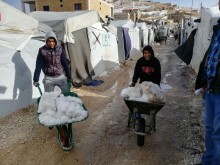 Over the next few days, it is estimated that between three and five per cent of the tents where the refugee population lives could collapse due to heavy snow accumulation. If this occurs, approximately 1,000 people would need emergency shelter and urgent relocation. "Extreme temperatures and lack of access to the affected areas during the next storm will be a real problem in Aarsal, where 50,000 Syrian refugees live. Most live in informal camps and in precarious conditions," says Navarro. "We will be distributing water tanks and drainage kits in advance of the next severe weather event, before water tanks and pipes freeze. We will also provide plastic shelter materials to those most affected by heavy winds."